We visited Mankas Corner Steakhouse on a rainy Saturday for lunch after having an amazing tasting experience next door at Vezer Family Vineyards. We had decided to give to give this place a third and final chance to change our previously held negative opinions. We were very relaxed and happy as we went in, eager to have a good meal before round two of tastings. The restaurant is absolutely lovely. The setting itself is as well appointed as anything you will find in Napa. “Classy California Mediterranean Chic” are the words I would use to describe this place. When we walked in the restaurant was empty (Brit Comments: apart from a couple of tables) and we were greeted by a friendly young hostess. We were seated outside on the covered patio (per our request). They had some soft music playing and the gentle rain was soothing. They also have a fireplace and heaters out there to keep everything comfy. Our waiter seemed friendly and competent. He was quick to take our drinks order and gave us plenty of time to peruse the menus and make our selections. We were both seeking something substantial and warm since it was raining and we had just consumed a fair bit of alcohol; with plans for round two after lunch. I chose The Chophouse Burger and salad. The Brit chose The Grilled Chicken Sandwich and fries. He had iced tea. I had water. Remember I said that the restaurant was empty? Um yeh so, 40 minutes later when our meals arrive.. I cut my burger in half to see a beautifully cooked medium burger as I asked. Great!. They served it on a brioche bun with nicely fresh butter lettuce and a beautiful juicy tomato, chipotle aioli, and I asked for red onion to be added. They had a garnish of a dill pickle spear. The “salad” was dressed mixed leaves with pomegranate dressing. My burger was fine, nothing to write home about. At least it wasn’t cooked into a hockey puck. It was over seasoned, but it wasn’t bad enough to be inedible which has always been my issue with this place. They over season everything including their gorgeous very very pricey steaks. When I took a bite of the Brit’s food, I nearly spit it out. It was disgusting! It was like taking a mouth full of Cajun spices. I couldn’t believe he was sitting there eating it and not complaining. I gave him half of my burger and he said he couldn’t even taste it because all he could taste was that spice. Spices are there to compliment the food. Not overwhelm the food completely! The sweat was rolling down his forehead it was so much spice. The Brit Comments: The description of Cajun spices is being kind, that implies a blend of flavour, whilst all I had was a single note of pepper. The chicken was cooked so it remained moist, the bun was excellent, and the bacon provided a good textural balance, but the spice’s monotony was the dominant aspect. Then came the check. Holy cow. For these two basic burgers and one iced tea $48.00 before tip!!! I just shook my head in disbelief. This is exactly why we don’t eat here. 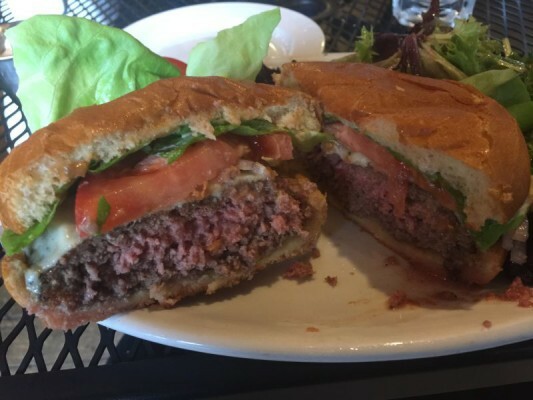 I could go to Hurley’s and get an outstanding burger for $16 (I looked it up for accuracy) and it would be amazing… and it would be in YOUNTVILLE. Thus ends us ever eating at this place again. The Brit Comments: This restaurant has the ambiance and the service to be an oasis in the culinary desert that is Fairfield, but based on this visit it is just a mirage. Update: Since writing this post, The Brit and I have eaten at the Mankas Corner Steakhouse pop up kitchen at all of the Vezer Family Winery concerts we have attended this year. The quality of the burgers have ranged from good to OK. A burger with no cheese is $18.00 served with dressed lettuce only. A slice of cheese will cost you a further $2.00. The cook of the burgers have ranged from good to overcooked on these occasions. 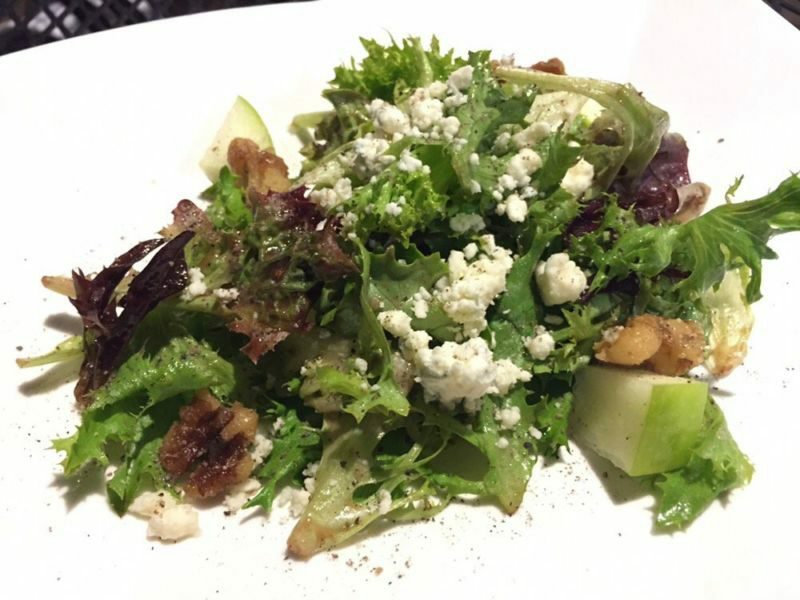 The salads too have had a wide range of preparations and no standard of quality. Some have had a decent amount of toppings to others that have been down right skimpy. Their new item of the sweet potato fries has been great. 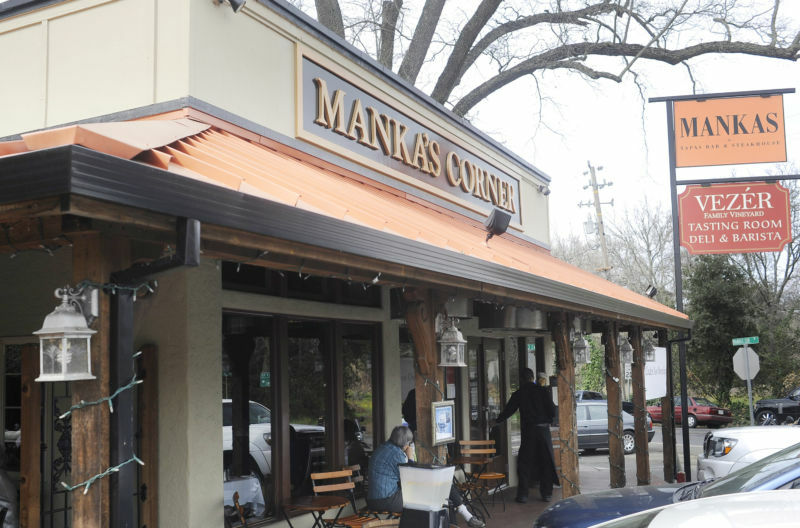 What is interesting is talking with people at these concerts about Mankas Corner Steakhouse. The reviews have all been the same. Every single person has said the food is very hit or miss, and expensive. I asked people who still eat there what is it they liked? I’m going to say I have asked about 15 different people about this who I didn’t know (the conversations happened as we were sitting at a shared tables listening to the music and eating food from the pop up restaurant). Some of them start out with: It’s not that bad but don’t ever order the *fill in here*. Some people said they only ever go for the appetizers. When I asked them what they do eat or any stand out dish, no one really had an answer. I got one who liked the steak, but said its very salty. All of them agreed that there is no where else in Fairfield to eat. 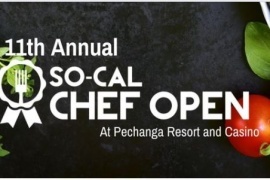 All this being said, I have heard that they now have a new chef there so things might be changing. It would be interesting to hear what you all think. Do you have something good you eat there? ***I would like to take a minute to talk with the ownership and chef of this establishment. I do realize that you have a good business going here. I believe that the reason for this is simply that there are no other places to eat in the area at all. If you made one little change you would be booked to the point that you could not handle all of your custom including my own. Step away from the over-seasoning the food. Every single person I know says the same thing. You serve quality meat. It doesn’t need all of that. I was told that the meat is pre-seasoned so it cannot be ordered without seasoning after having sent a steak back twice for over seasoning. You won’t even allow the option to wash it off! This is a crime to the quality meat you serve. You can be expensive, just be quality all the way and make us foodies flock to you. We need a good restaurant in Fairfield! Thanks for listening. 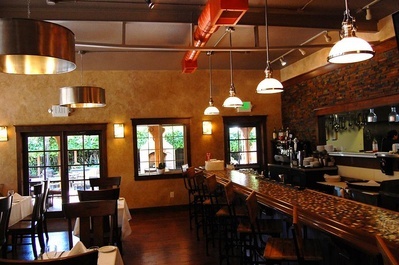 Thank you, my dear friends, for the recent review on Mankas Steakhouse. I enjoyed reading about your experience minus the Trump comment (j/k!). We are looking outside at the cloudy day today figuring out what we are going to do. I am thinking that we need to head over to Vezer today for my 3 pickups that I have been neglecting. I was going to suggest to Matt that we have lunch at Mankas but after reading this I was reminded of the experiences we had there and thought twice about it! Every time we have lunch or dinner there we are often left lacking due to the price of what we receive. My husband being a hefty man…does like a hearty meal. I am thinking we will pick up my wine, have a quick tasting and maybe hit Kinders? 🙂 Cheers folks!